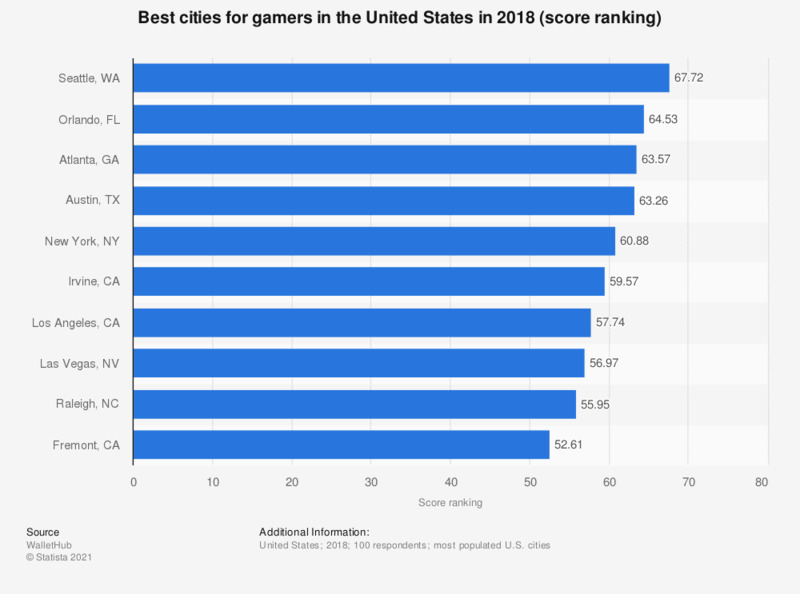 This statistic presents the best cities for gamers in the United States in 2018. In 2018, the best city for gamers was Seattle, Washington, which had a score of 67.72 out of 100. Coming in second was Orlando, Florida, which had a score of 64.53 out of 100. The cities were judged on the basis of gaming environment, internet quality and gamer and developer opportunities. Score ranking is based on three key dimensions. 2: Internet quality and coverage. 3: Gamer and developer opportunities. Ranking score is scaled from 0 (worst) to 100 (best).